I've always been fascinated by Grayling, but I've never taken the time to fish for them. 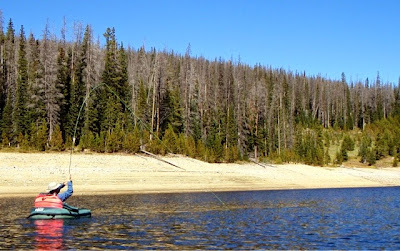 There is a lake in the local mountains that is known to hold Grayling, and last week, Mike and I decided to drive up and float the lake. Mike figured out the secret, and landed a lot of fish. 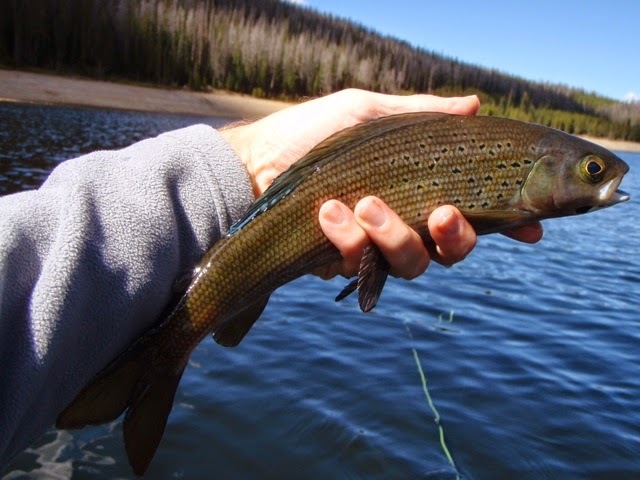 Grayling are a beautiful fish, and are a great fighter on a fly rod. It was a great fall day spent chasing a unique fish.